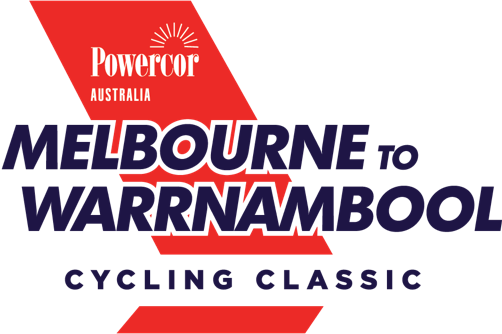 From the local paper round to elite cycling, two mates from Colac are set to take on the new-look Powercor Melbourne to Warrnambool Cycling Classic. Colac born and bred, Steven Neave and Bruce Trew, will be cheered on by family and friends when they ride through town on February 16. The two passionate cyclists have been mates since high school, joining scout groups together, competing in triathlons and trekking Nepal in their 20s – Steven was even best man at Bruce’s wedding. Fast forward 20 years, and they will compete together in the Classic, riding for the Mornington Cycling Club where Bruce is president. While both now live away from Colac, they work for the same company, with Steven the General Manager Electricity Networks for CitiPower and Powercor and Bruce the Manager of Customer Projects for United Energy. Steven, who is competing in the race for the first time, said that as naming rights sponsor, Powercor was excited about being a part of this year’s ‘Warrny’. “This race provides the community an opportunity to see some of the country’s best cyclists in action and we are pleased to be able to honour the history and heritage of the race by supporting it.” Steven said. “As part of the local community, Powercor understands that events such as the Warrny are an important part of the tourism calendar and help support the local economy. Bruce, who has competed twice before, said he was proud the revised race was going through his home town of Colac. “I have great memories as a kid when my Dad, who also worked in electricity for the State Electricity Commission, would take me to watch the cyclists ride in the Classic,” he said. “I remember being in awe of the riders and now here I am competing for the third time.